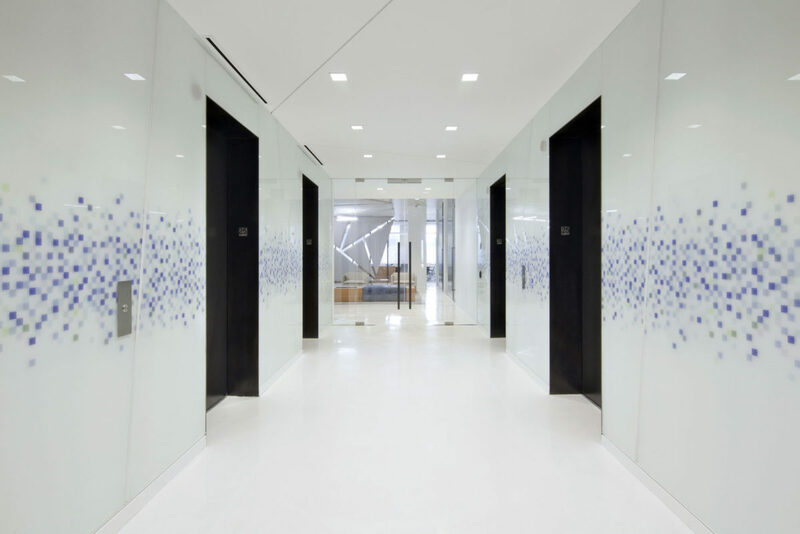 Custom Blackened steel elevator portals + custom pattern back painted glass. 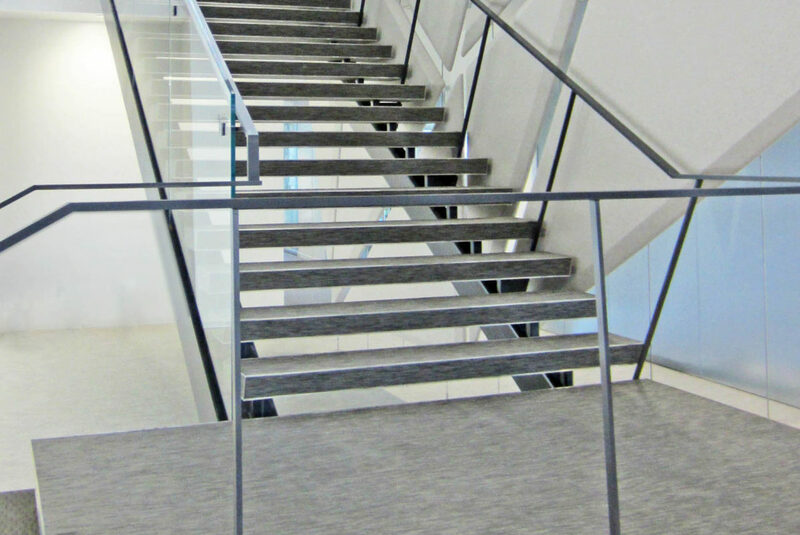 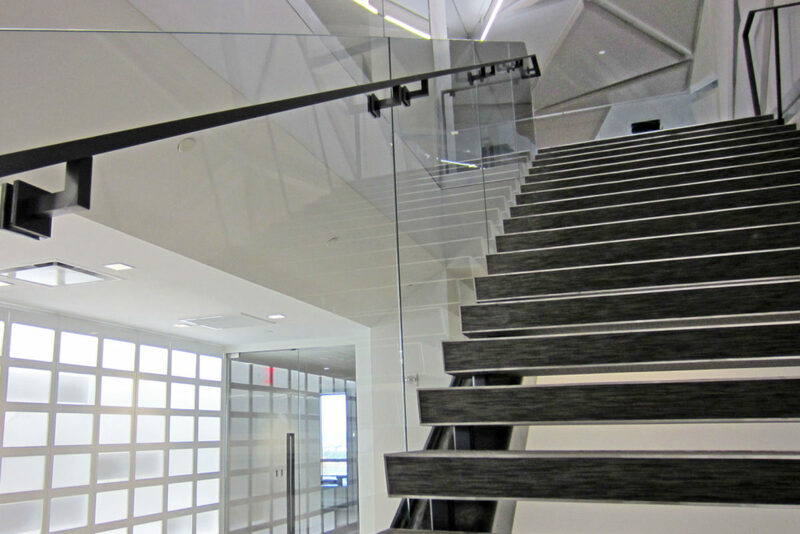 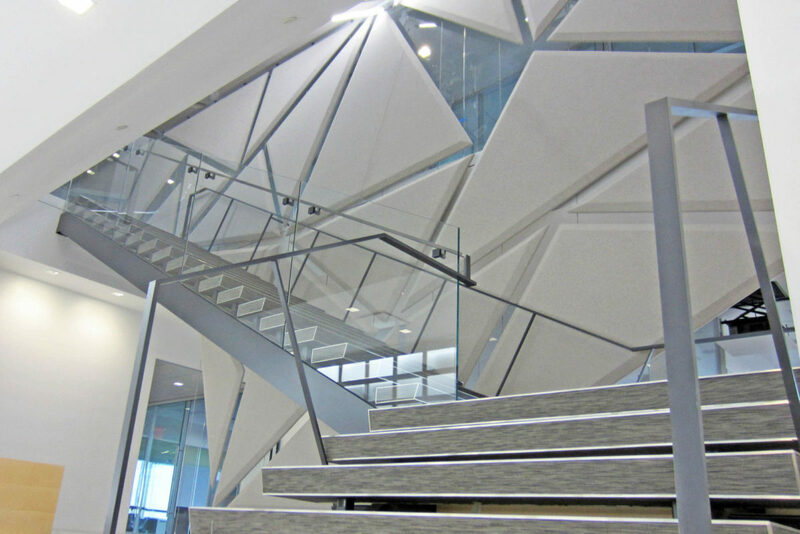 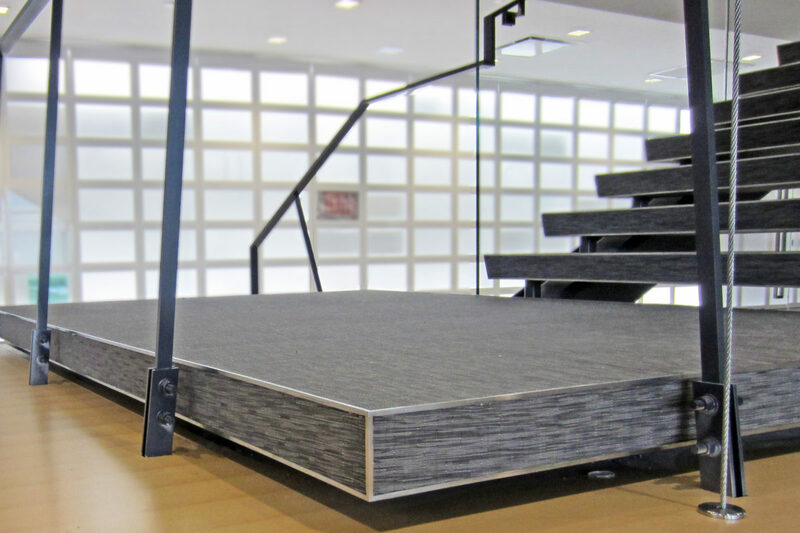 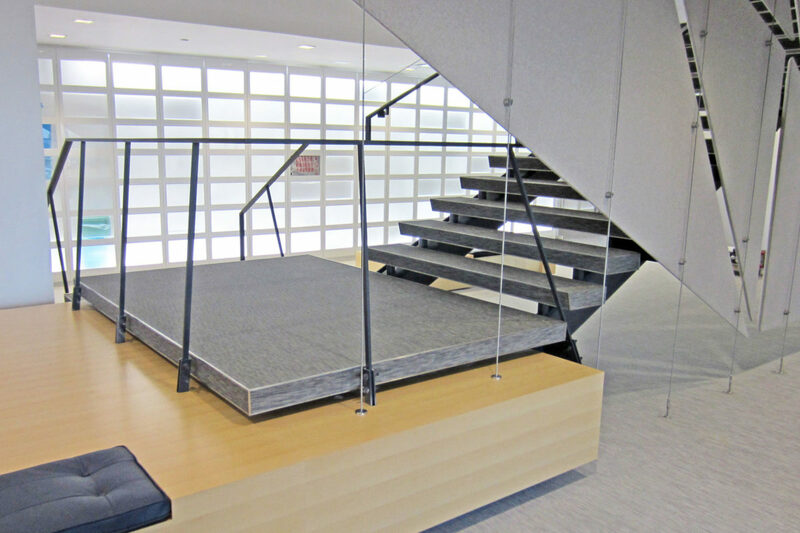 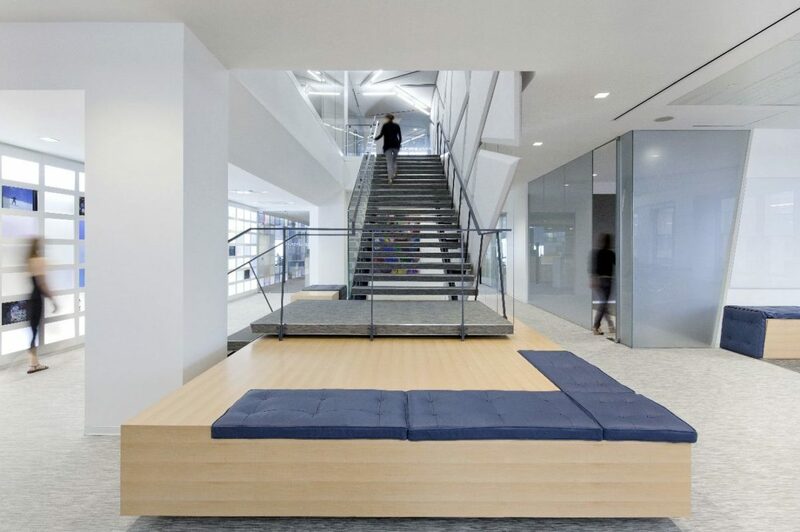 Custom steel + glass staircase with stainless steel framed treads and landing. 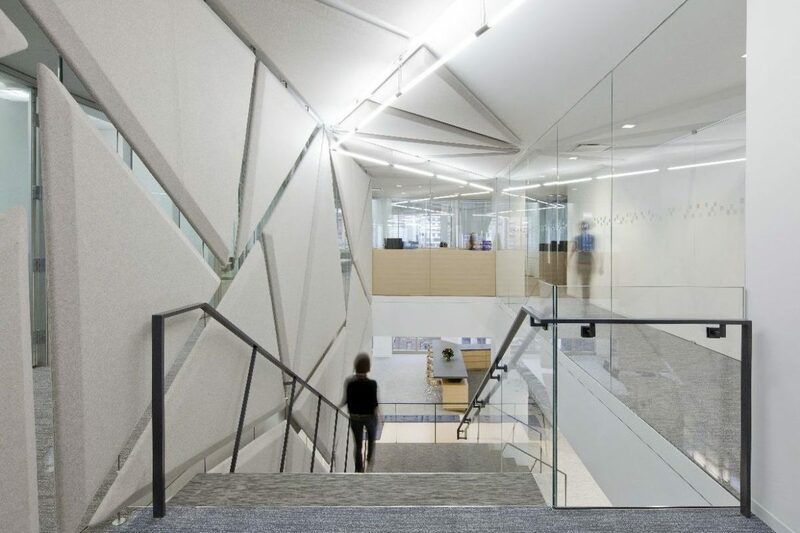 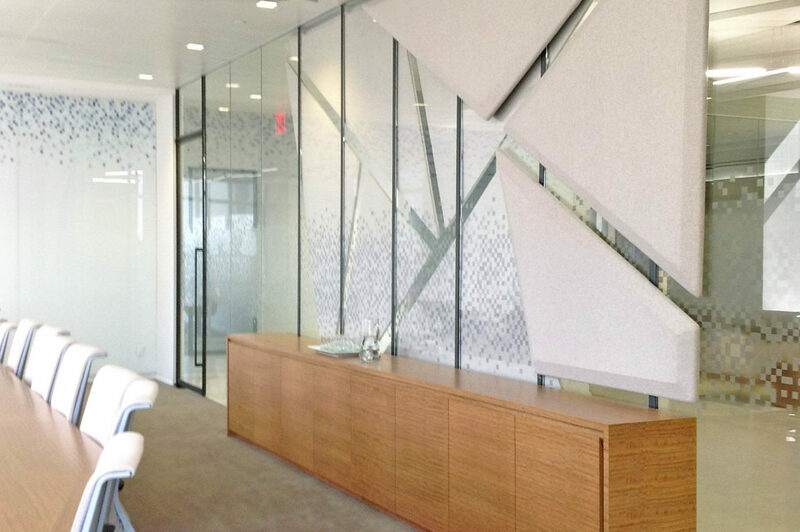 Custom glass office front, stainless steel cable system to hold fabric panels. 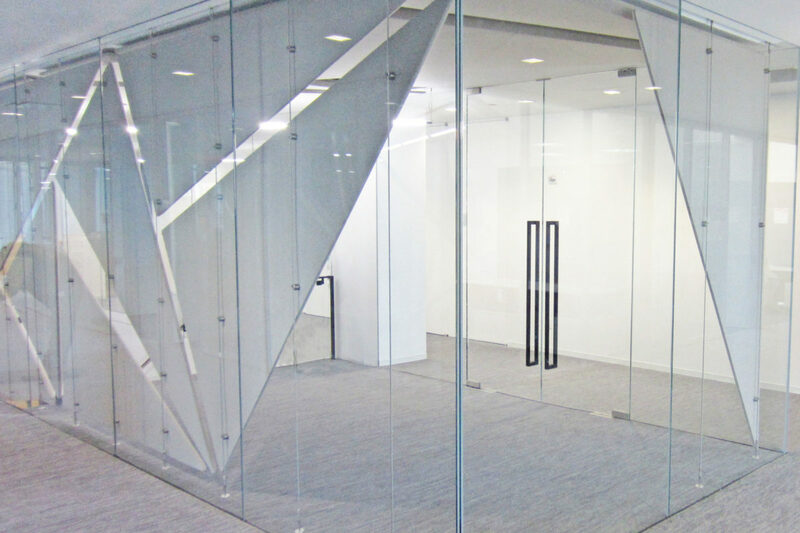 Custom steel + glass conference room with custom film.